A local agri-environment scheme on a Greek island is addressing the pressure upon traditional agriculture and the environment from urbanisation and tourism developments, whilst also supporting high quality wine production. The Aegean island of Santorini is the site of one of the largest volcanic eruptions in recorded history which created a mini archipelago of islands characterised by steep cliffs. 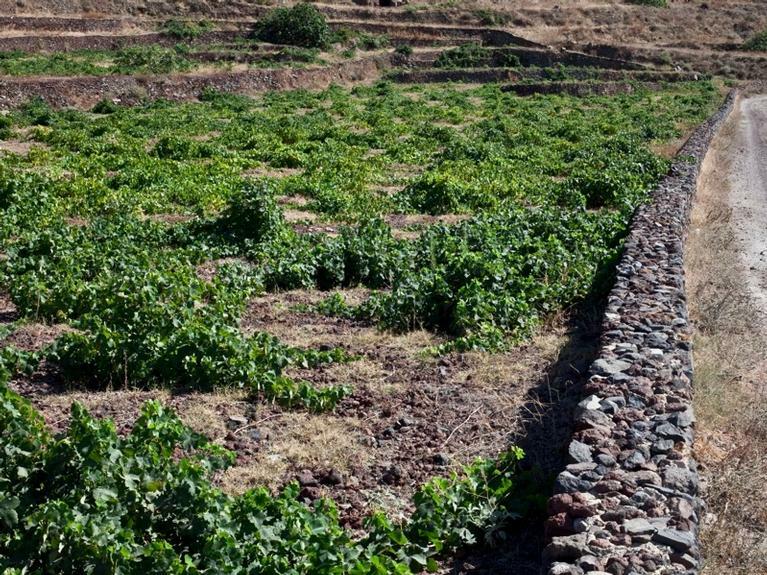 Traditional cliff-face vineyard terraces (known as ‘pezoules’) are found here and Santorini’s wine making methods date back over 3 500 years with their distinctive non-linear pattern of vine cultivation and unique pruning techniques that curl their crops into shapes (‘kouloura’) resembling round baskets. 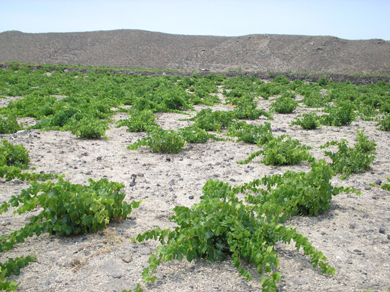 Around 1 100 hectares of vines are grown on Santorini, but are under threat. 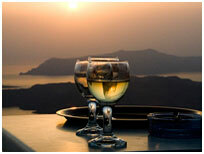 The Greek government has therefore committed around €3 million (2007-2013) to a local agri-environment scheme in order to: 1) preserve the traditional agricultural practices associated with the vineyards; 2) preserve the unique biodiversity and ecosystems of the volcanic island; 3) protect the soil from erosion, and; 3) conserve the indigenous vineyard varieties. Farmers owning vines on the island are eligible to receive 900 €/ha/year within a 5 year Agri-environment Management Agreement if they agree to the following commitments: a) to maintain the traditional way of cultivation and pruning; b) to maintain the ‘pezoules’ (terraces), lines of trees / hedges and the vineyard field margins; c) not to use herbicides or fire, and; d) to follow all rules set by national and european legislation. Compliance with these commitments is checked regularly. The scheme was announced in 2006 as part of the Greek RDP. It was originally initiated by Santorini Winemakers Co-operative (SANTO) which encourages all members to participate in the scheme. There are currently 605 vineyard owners with 657 hectares participating and another call for new applications is due in 2011. The environmental benefits cannot be fully assessed yet, but the continuation of the local wine making activities has clear socio-economic benefits for the island community. Pressure from urbanisation and tourism upon traditional agriculture and the environment is a common problem on islands such as Santorini. However, with the active involvement of all interested parties this problem can be addressed. One very effective incentive for the maintainance of traditional agricultural is the production of high value quality products - environmental benefits are clearly best met when economic interests are also considered.